There is no escaping the unique rhythm and rusticism of São Luís. Home to writers, poets and the wild rumble of reggae, it is a city of Afro soul and Brazilian flamboyance. São Luís is home to over 1 million people and the capital city of Maranhão. Attractions include Palácio dos Leões, Casa de Nhozinho and Calhau Beach. Get ready to lose yourself in the feverish whirl of tambor de crioula and sultry purr of Brazil with cheap flights to São Luís. The city of São Luís is home to Marechal Cunha Machado International Airport (SLZ), which is a 15-minute drive from the heart of the city. The historic centre of São Luís, an exquisite tapestry of old cobbled streets, pastel walls adorned with ornate azulejo tiles and traditional Portuguese façades is a UNESCO World Heritage Site. Get ready to discover a unique fusion of Portuguese and African flavours in São Luís. 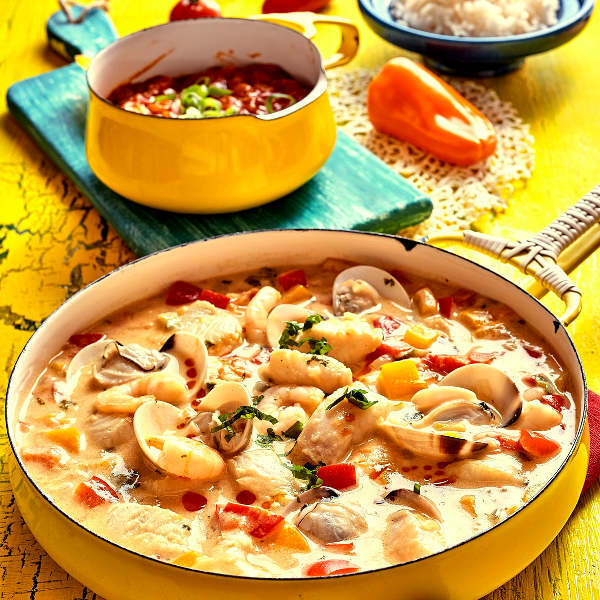 Cuisine in the state of Maranhão is centred around seafood, spices and sacred ancestral recipes. Lose yourself in the wild rhythm of Brazil as festivals celebrating traditional folklore and Brazilian culture bring the city to life. Famous festivals include bumba-meu-boi and Maranhão Roots Reggae Festival. São Luís experiences a tropical monsoon climate, with a short dry season from August to November and a heavy monsoon season the rest of the year. Average temperatures range from 31 degrees Celsius in summer to 23 degrees Celsius in winter. 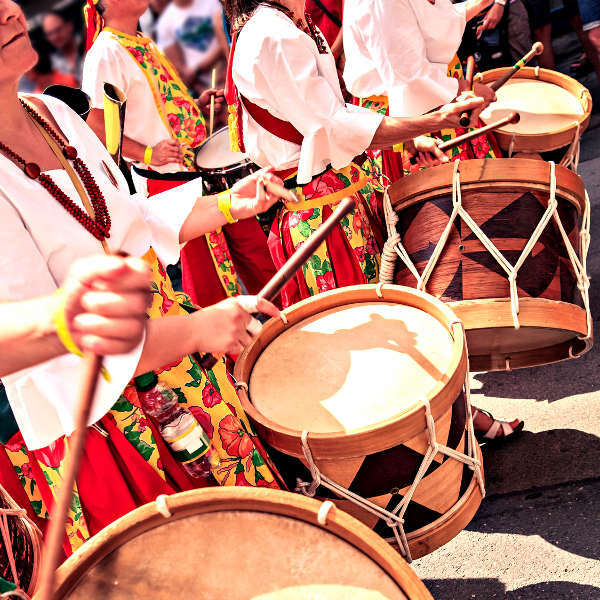 The best time to visit São Luís is at the end of June when the city is ablaze with colour, theatrical storytelling and traditional music and dancing during the bumba-meu-boi festival. The festival celebrates traditional folklore and is one of the biggest cultural festivals in São Luís. If you want to visit the dunes of Lençóis Maranhenses, the best time to visit is between June and September. For cheap flights to São Luís, the best time to visit would be during the rainy season. São Luís is a purring metropolis surrounded by the tropical waters of Baia do Arraial and Baía de São Marcos, in northeastern Brazil. With its far-flung location and flamboyant reggae roots, São Luís is a place of unexpected magnetism and scintillating soul. 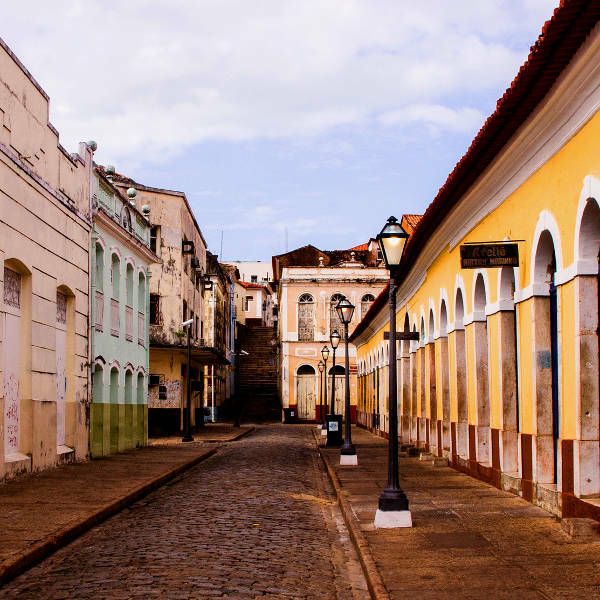 The centre of São Luís is a decadent tapestry of steamy cobbled streets that wind between 18th and 19th century façades adorned with ornamental azulejo tiles, cast iron balconies and plants erupting out of ceramic pots. It was declared a UNESCO World Heritage Site in 1997. Head to the coast to find beaches dotted with towering palm trees and an irresistible selection of restaurants, bars and nightclubs. Ponta d’Areia, Calhau, and São Marcos are popular beaches. Follow the rugged thump of drums and twang of strings to find reggae parties and sultry fiestas. For a taste of history and culture, visit attractions such as Praça Gonçalves Dias, Casa do Maranhão, Museu Histórico e Artístico Maranhão, Fonte das Pedras and Convento das Mercês. São Luís also offers a gateway to the dunes of Lençóis Maranhenses. Compare several airlines and book your cheap flights to São Luís online at Travelstart! São Luís is a large capital city, so it is advisable to take certain precautions and maintain vigilance while travelling around the city. Travel insurance to cover theft and medical expenses is recommended. Avoid travelling alone, and through deserted areas, especially at night. Reputable taxi services should be used when travelling around at night or through unfamiliar areas. Taxis can be organised through hotels or apps such as 99 Taxi and Easy Taxi. Avoid flaunting wealth and carrying large sums of cash and valuables, as pick-pocketing and bag snatching can be a problem. Remain vigilant at bars and clubs and never leave your drink unattended. Brazil is at risk for Yellow Fever, Zika virus, Chikungunya, leishmaniasis, malaria and dengue. Vaccinations are required and precautions should be taken to avoid insect bites. Immunisation against hepatitis A & B, typhoid and rabies are recommended. Other routine and recommended vaccinations include MMR, diphtheria-tetanus-pertussis, varicella and polio. Bottled water is recommended.